There’s absolutely nothing challenging about this drink. Even though it’s mostly alcohol, it doesn’t taste like it. 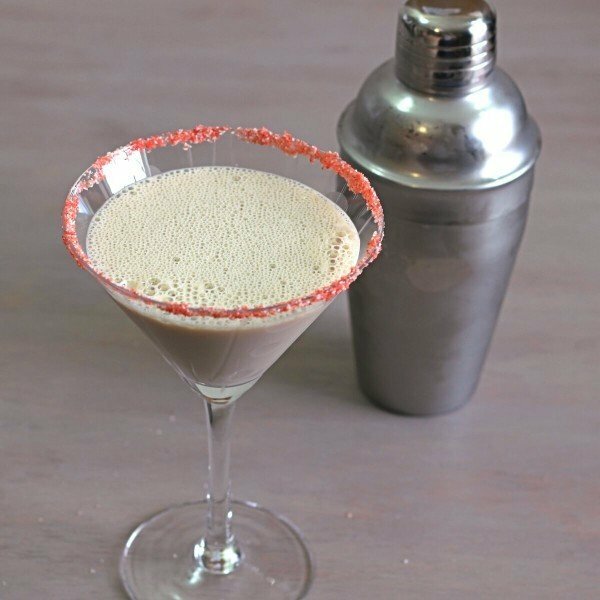 It’s just chocolate and raspberry with strong hints of vanilla, and if you like those flavors, you’ll love this drink. 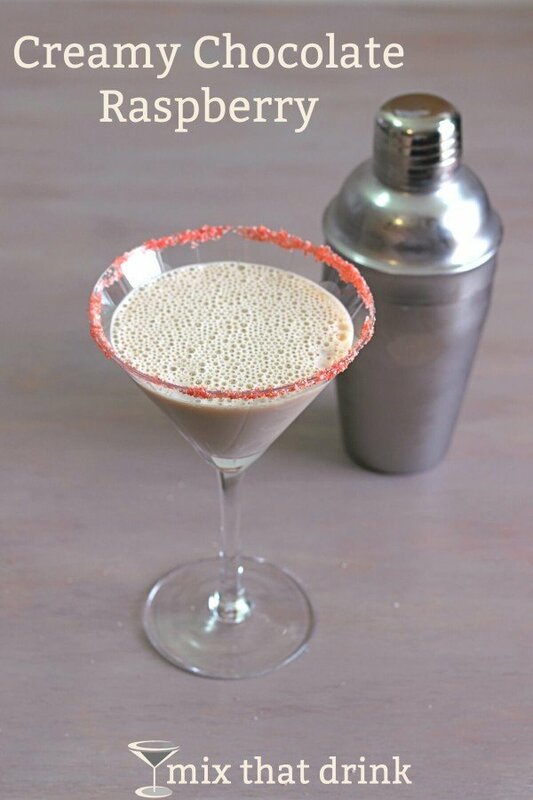 And if you’re ever in the mood for a non-creamy version of this cocktail, try the Chocolate Raspberry Martini. 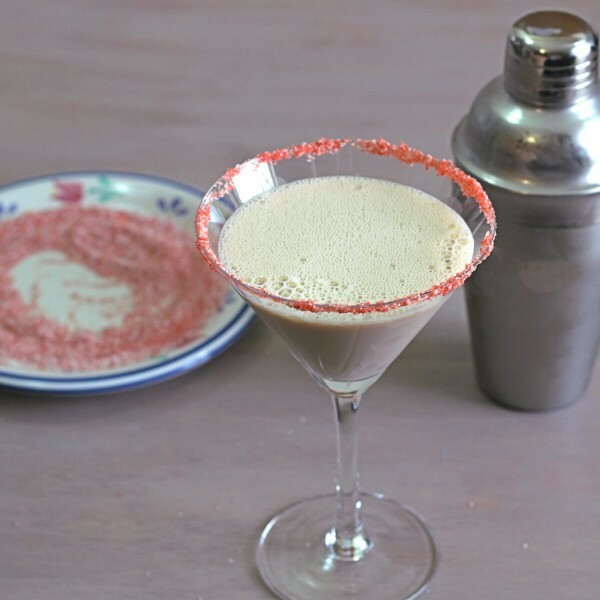 To get the pink sugar rim that I used as a garnish for this drink, you can either buy pre-made red sugar at the store or do what I did. 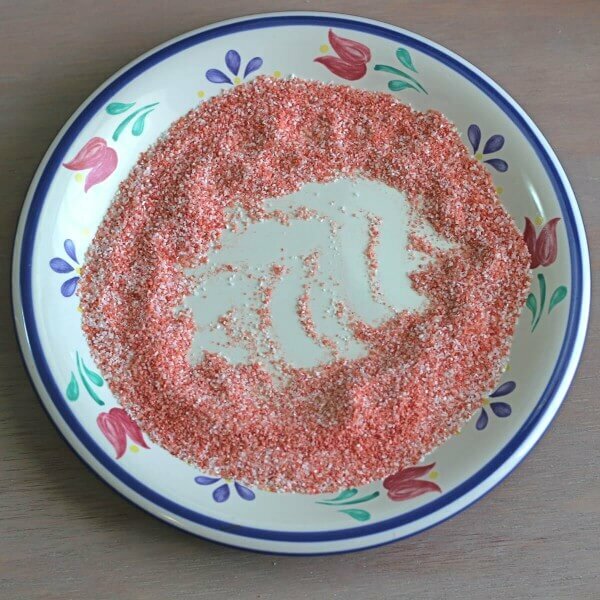 Which is: stir a couple of drops of red food coloring into your sugar. I literally start with just one drop to make sure I don’t get it too red. Then you add more drops until you get the color you want. For those of you living in areas where half-and-half isn’t really a thing, half-and-half is half cream and half whole milk. So what you want to do is: mix equal proportions of whole milk and heavy whipping cream. You can also order little tubs of half-and-half on Amazon. But the truth is, if you don’t mind the drink being a little bit less rich, you could get by with just whole milk if that’s all you have on hand. Fill a cocktail shaker halfway with ice. Pour in all ingredients, and shake until chilled. Rim a martini glass with pink sugar (you can make your own pink sugar by mixing sugar with a couple drops of red food coloring). Strain the mixture into the glass, and serve.